One of the most desirable new gated communities in Cape Coral is Bella Vida, located on the north side and a mixed development of both single family homes and townhouses. 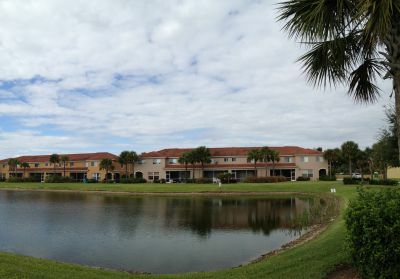 Originally developed in 2007, this master-planned community offers all kinds of great amenities, a multitude of scenic lakes and ponds, walking trails, and beautifully landscaped greenery. Residents enjoy a pool and clubhouse, fitness facilities, tennis courts, playgrounds, and much more. Mixed among the homes are the townhouses (not to be confused with condos) which are located at some of the best waterfront sites. Townhomes overlook the lakes, are 2 story models with three bedrooms, back yard decks, upscale interiors and appliances, and paver-brick driveways with a garage. 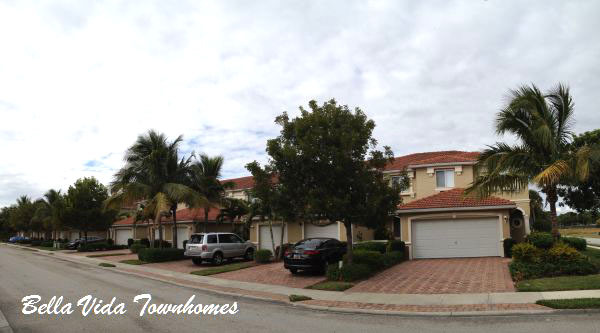 Built in 2007, these spacious townhomes are affordable, ranging around $175,000 to over $200,000 as of March 2019, with around 1600 sq ft or more. Townhome multi-floor living is popular with the younger residents as seniors tend to gravitate to single story or multi-floor complexes with common elevators. I'll be glad to show you around this very nice community. See the Bella Vida Homes, too.